A Boxing Day Test is always a significant event in the cricketing calendar. Even in this year, the Boxing Day saw three Test matches being played in the Southern Hemisphere. The most riveting contest of the lot saw India take on Australia at Melbourne. A much important game in the context of the series, Day 1 at Melbourne witnessed more than 70k crowd to mark another fascinating game in prospect. India won the toss and Kohli decided to bat first, despite a tempting tinge of green on the pitch. India batted two new openers in Hanuma Vihari and debutant Mayank Agarwal. The duo gave India their best start in the series so far, in trying to nullify the effect of the new ball. The wicket behaved in a much contrasting way as the run scoring became more difficult as the Test match went along. The visitors pummelled the hosts with a huge score of 443 in their first innings especially forcing the Aussies to field more than 150 overs. Australia saw their batting woes continue in the series as they were bundled out for a paltry 151 with less than three sessions. Jasprit Bumrah's fiery spell inspired a quick batting collapse for the home team. Though Aussies came back hard in their attempt to push the tourists on the backfoot, a lead of 292 runs was in itself a mountain to climb for the fragile batting order. India declared their innings at 106 for 8, leaving the hosts with a target of 399 to take a 2-1 lead in the series. However, it was not to be, as Indian bowlers proved too good for the Aussie batting lineup. India secured an easy win by 137 runs as the hosts were rattled by some menacing bowling by the Indian fast bowling trio. It is one of those times when you don't wish to be an Australian fan. Though the team has shown signs of determination, it is never enough to win games of cricket spanned over five days. One can imagine a dip in batting or an off-day in bowling but Aussies are always known to be born- athletes, who don't commit errors in the field. But it was a different story altogether in this game at Melbourne. 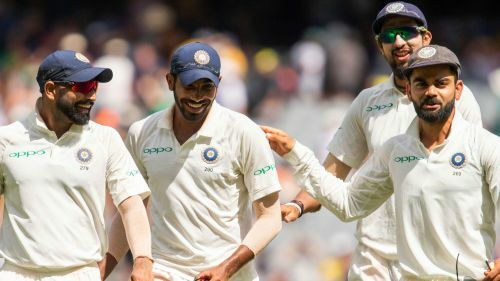 They dropped as many as four catches in the first innings to dent their confidence after India manage to see them in the field for nearly two days. 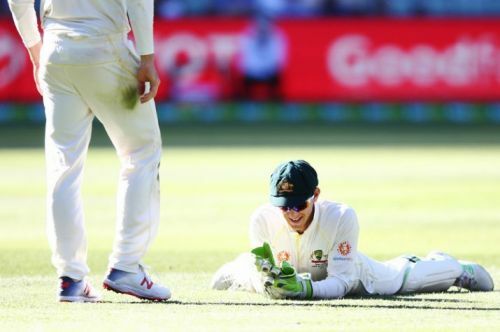 Kohli was dropped by wicket-keeper Paine at the end of Day 1, denying Mitchell Starc a much-deserving wicket in his menacing spell of fast bowling. Lyon was the unlucky guy who suffered three drop catches off his bowling. Rohit Sharma was given a reprieve by substitute fielder Peter Siddle, while Travis Head failed to grab on a bat-pad off Ajinkya Rahane. Even Rishabh Pant was dropped at long-on by Pat Cummins.